Hanoi, (VNA) – Shares advanced steadily on March 14 on the HCM Stock Exchange, boosted by strong large-cap stock growth. However, analysts have warned about volatility ahead of the US Federal Reserve’s next meeting. The benchmark VN-Index edged up 0.64 percent to close at 714.71 points. The southern market index decreased 0.3 percent on March 13. Six of the top 10 biggest stocks by market value gained, including brewery giant Sabeco (SAB), dairy firm Vinamilk (VNM), PV Gas (GAS), FLC Faros Construction (ROS), private equity Masan Group (MSN) and real estate developer Novaland Investment Group (NVL). The listing value of these six stocks accounted for over 36 percent of the HCM City exchange’s total market value. Money also flowed into realty stocks. The top five most heavily-traded codes on the southern exchange were real estate firms: They were FLC Group (FLC), Hoang Quan Consulting Trading Service Real Estate (HQC), FLC Faros Construction (ROS), Hoa Binh Construction (HBC) and Duc Long Gia Lai Group (DLG). FLC was the most active with over 17 million shares traded and an increase of 0.3 percent. Others saw 4-7 million shares exchanged on each stock. Despite positive movements on March 14, stock analysts have warned about an uncertainty. “In the short-term, the market is unlikely able to move beyond this range, as there are many upcoming factors that could affect trade, such as the Fed’s meeting result, falling oil prices or portfolio review of exchange-traded funds,” analysts at MB Securities Co wrote in a note. Investor caution could weaken liquidity and make it difficult for investors to identify market trends, they said. The Fed will hold a meeting on March 16 night, and the result of the two-day meeting will be revealed on Thursday morning in Vietnamese local time. The positive report on the US unemployment rate has strengthened forecast for an interest rate rise. The Fed’s decision may have a negative impact on emerging and frontier markets including Vietnam in terms of foreign withdrawal and forex movements. 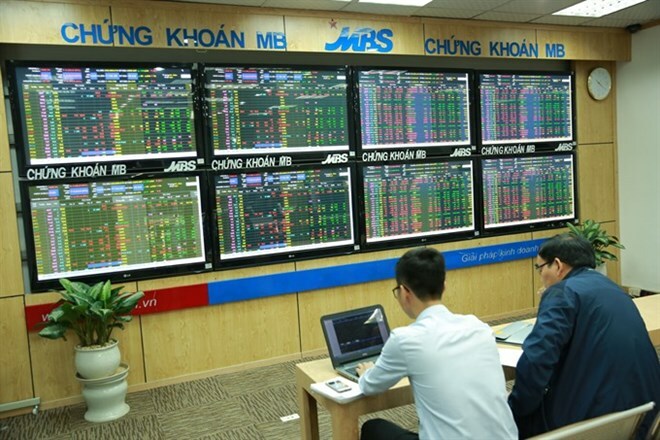 On the Hanoi Stock Exchange, the HNX-Index inched up 0.2 percent to close at 87.2 points. The northern market index slumped 1.3 percent on March 13.